Creating drive time polygons using Open Source tools? Is anyone using open source tools and/or data to generate drive time polygons that radiate out from a given location? 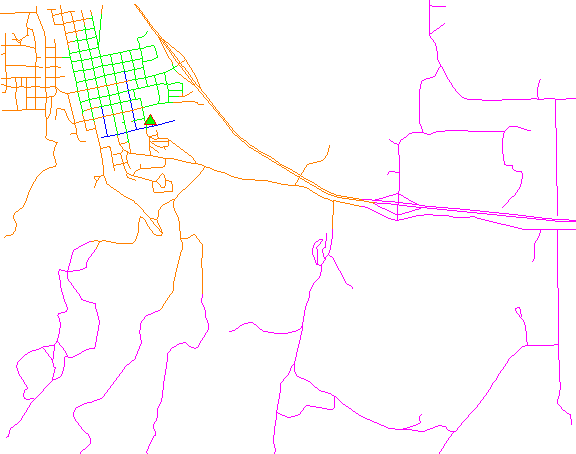 For example, I have used ESRI products like Network Analyst and Business Analyst to generate polygon boundaries that represent the maximum distance one can travel along a road network from a given point within a user defined period of time (say 5, 10, and/or 15 minutes). Are there any similar open source or web-based alternatives? 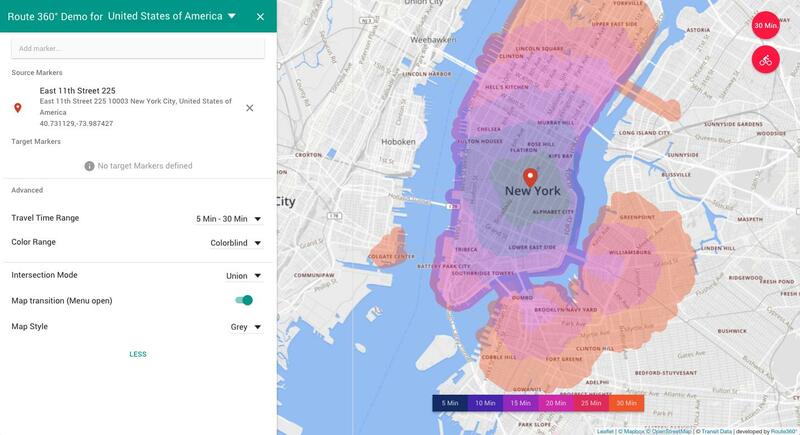 I saw this post, but it really doesn't give alternative options: Can you make a travel region polygon with with Google Maps API? I was particularly curious to know if anyone is (or can) use OpenStreetMap to do drive time analysis? Read more about locked posts here. You might not want to run a convex hull algorithm on this output. Imagine the blue roads: A convex hull around them would contain a lot of parts that are not reachable in the time represented by "blue". You can create drive time isochrones using pgRouting and QGIS (as described here). I didn't use OSM in this case, but of course you could build your routable network based on OSM (see osm2pgrouting tool). Colored areas represent the results of alpha shape function, black lines are the results of the interpolation approach described earlier. The catchment areas are less detailed using pgRouting's alpha shapes. Also, there seems to be no way to vary the value of alpha to create more detailed representations. GRASS' v.net.iso can be used to to create the drive time 'network' which you could pass into a 'convex hull' command to get a polygon. Perhaps not ideal, but would work! Well, potentially you could use v.net.iso from GRASS GIS. However it doesn't create polygons (AFAIK), but splits the lines by cost classes from the source. As for calculating drive times from OSM, you could import the data into GRASS with v.in.osm, and use the v.net.iso to calculate the cost zones. If you wanted travel times and you don't have road speed limits potentially you could calculate the speed limit based on some function of road class. The code will collect the points which you have to convert to a polygon with e.g. the JTS tools. The speed largely depends on this last step. Without this it would be possible under 0.5s even for large distances. Another way would be with OpenTripPlanner. 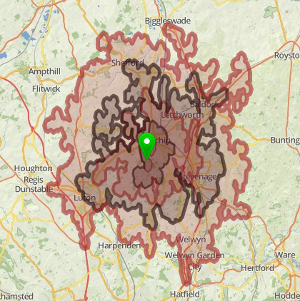 osrm-isochrone is a small node.js library for generating drivetimes. It is free and open source and coverage is pretty good. You can find a lot of different tutorials on how to use it on the website. Although not directly answering your question, you should take a look at the Mapnificent API. Mapnificent provides dynamic public transport travel time maps for many cities in the US and some world wide. You can use the Mapnificent API to augment your Google Maps application with public transport travel time overlays.overlays. Take a look at London here. I also stumbled upon gvSIG's Network extension, but the configuration documentation that I have found so far is fairly poor. I have high hopes for it, I just need to figure out the details for calculating cost. I was using the US Census TIGER data for the road network and actually generated some polygons, but just couldn't get the cost units to really make sense. If anyone has successfully implemented this tool, I would love to hear about it. I also found Quantum Navigator for QGIS, but I haven't found any recent updates. The result with the concave hull approach is great and I've taken alot of inspiration from the above images. But I noticed that the results can include some areas that are inaccessible by road (like the river, for example). No doubt that this is not a problem in terms of searching for relevant features (population centroids, number of homes) by distance or time from the origin. But it also only works at either end of each link. Again, not an issue in the great majority of cases (since the longest road links have access control - you can't normally get off them until you get to the next junction/intersection). However, for all that, I've been working on a different approach based on the LINKS returned by PgRouting / (or a raw "Dijkstra" algorithm) ordered by time from the origin node. It's relatively simple and categorizes links by time band and also splits links that cross the time boundaries. Then links with the same categorization (e.g. 0-2 mins, 2-4 mins) are buffered by 250 metres. Not the answer you're looking for? Browse other questions tagged open-source-gis openstreetmap network routing pgrouting or ask your own question. 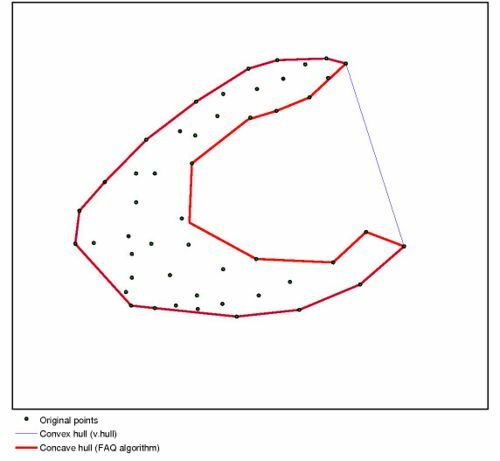 What are Definition, Algorithms and Practical Solutions for Concave Hull? Which tools and methods can be used to create isochrones? Creating drive time polygon around map point? Can you make a travel region polygon with with Google Maps API? Computing Walking and Cycling Isochrone maps using QGIS & pgRouting? Calculating urban areas that need pharmacies using QGIS? How to Make an Outside Buffer in QGIS? Seeking alternatives to pgRouting for open source routing / network analysis? 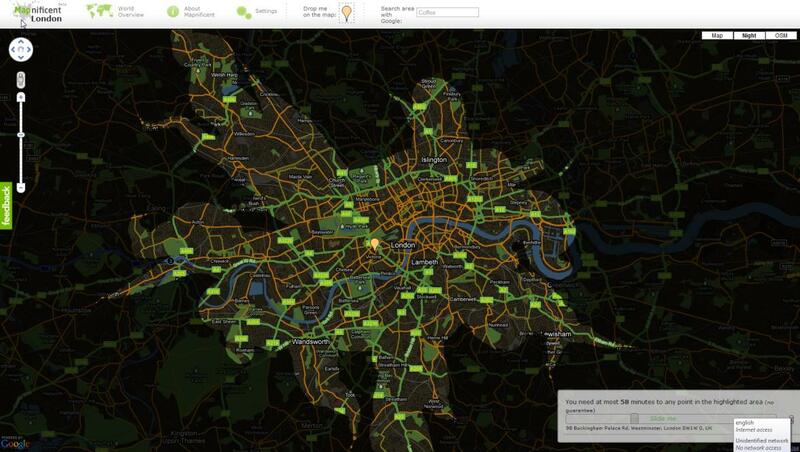 Open source tools for creating and publishing animated web maps? How do dissolve polygons from shapefile using open source tools? How to fix pgRouting error “starting vertex not found”? Open Source Tools for Swept-Path Analysis? Creating Drive Time Polygons Across State Boundaries Using OSM? Why in helicopter autorotation phase the opposing torque is eliminated?